"Rainbow Row Reflections'" by Kevin Curran, Fine Art Print, Single white mat size 18" x 24" (image size 11.5" x 17.5") This is a Limited Edition, Signed, and Numbered print. It is on Fine Art Paper, printed with archival ink. 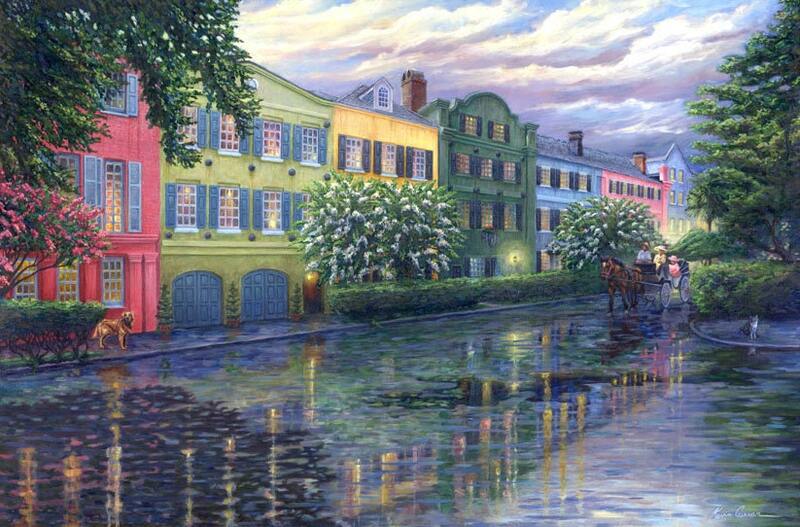 This painting features the Rainbow Row portion of East Bay Street, which is a well known landmark in Charleston, South Carolina.